Most of mobile devices are equiped the 3.5mm audio interface. The NFC/RFID adapter is using the interface for the data transmission. It's eay way for cosumers to adapt the NFC/RFID function without any NFC/RFID knowledge. 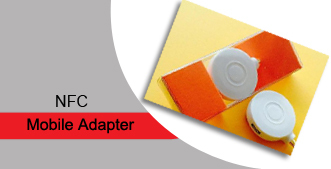 The NFC/RFID adapter is built in the smallest and rechargeable battery. Works with most Android and iOS mobile devices supporting the Micro-B charging protocol.